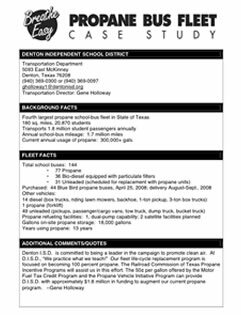 Is your school district considering an alternative fuel solution to power your fleet of buses? Diesel engine exhaust is identified as a carcinogen by both the Environmental Protection Agency and the World Health Organization. 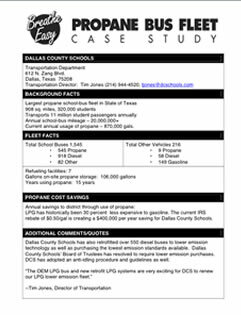 Switching your fleet over to Propane Autogas is the smart choice to significantly improve your fleet’s emissions, save operating and fuel purchase costs vs. gasoline and diesel, and project the environmentally responsible image you want to communicate to the students and parents you serve. 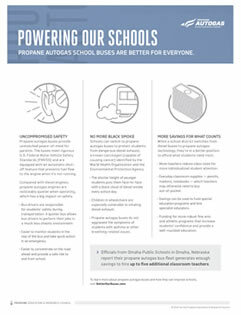 Propane produces 40% less smog-creating hydrocarbons than gasoline and 80% less than older model diesel buses. Propane Autogas improves engine oil life and increases time between maintenance intervals. 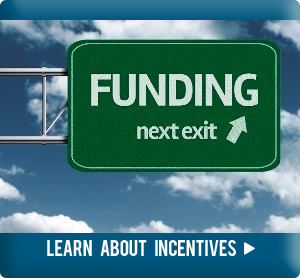 Using propane reduces fuel costs per gallon and operating expenses per mile. Propane has an inexpensive refueling infrastructure with low maintenance and zero negative environmental impact potential. 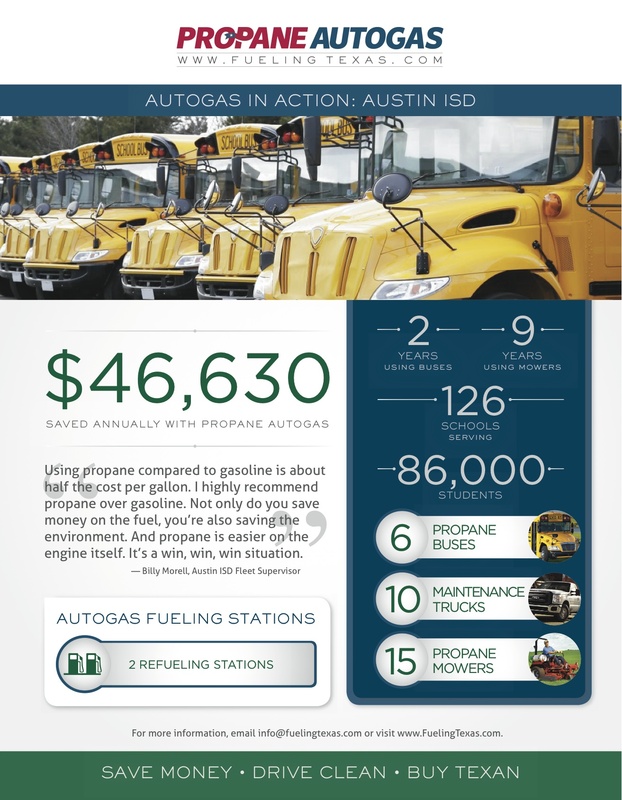 Propane Autogas is safer to operate than gasoline or diesel with 20 times more puncture-resistant tanks and a higher flashpoint, which makes it more difficult to ignite. Propane is domestically produced, with 86% coming from natural gas processing and over 50% of U.S. propane production coming from Texas. Propane Autogas is 50% quieter than diesel powered buses. Propane produces zero black smoke exhaust. 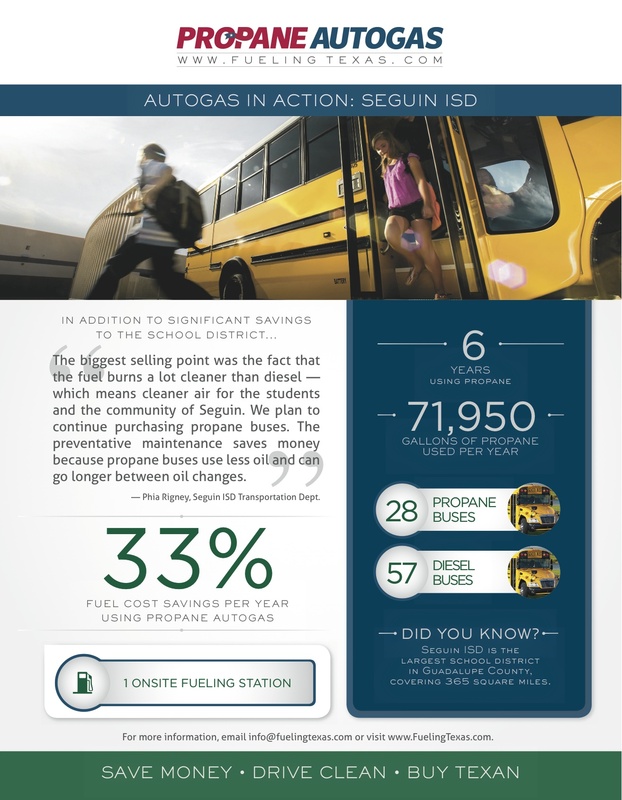 Northwest Propane provides Propane Autogas bulk storage and refueling installation services to school districts across the entire state of Texas. 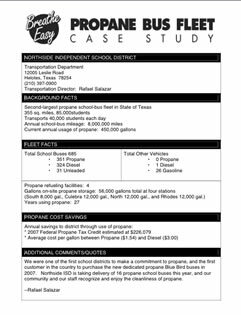 School districts prefer working with Northwest due to our experience with both OEM and aftermarket propane autogas bus conversions, along with our propane system support and maintenance capabilities. 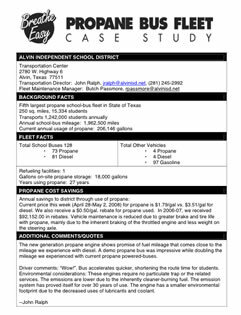 For more information about propane school bus conversions and propane school bus refueling, and to get a free fleet conversion analysis, contact us at Northwest Propane at 972-247-6121.